Hedges Direct are proud to be partners to ITV's 'Love Your Garden', the garden makeover show for some of the UK's most deserving people and communities. Here we showcase the products donated for the latest episode and those used in previous seasons to help you to 'get the look' for your garden. Hedges Direct, have been proud suppliers to ITV's Love Your Garden for a number of years helping to transform the gardens of some of the most deserving homeowners and communities / groups in the UK. As the UK's premier online hedging supplier Hedges Direct were first approached in 2013 by the programme makers enquiring about our special Instant Hedging range to create a space with immediate impact. We provided some beautiful mature Cherry Laurel hedging which was perfect for the garden in question and the relationship with the team continued from there with Hedges Direct supplying plants in each season thereafter. 2018 sees that relationship grow to new strengths with our most involvement yet, this time in a very special project close to all our hearts here at Hedges Direct. On Tuesday May 22, the one-year anniversary of the Manchester Arena bombing, an extremely special episode of the show will be airing as part of ITV's line up of dedicated programmes to celebrate 70 years of the NHS in which a stunning selection of trees and plants donated by Hedges Direct, will form part of an exceptionally unique garden at the Royal Manchester Children's Hospital. The garden will in part be dedicated to the bravery, positivity, and memory of all those affected by the attack a year ago, many of whom were children and were treated at the hospital at the time and some for whom treatment is still ongoing. However, it's a space which is much needed, as the hospital, which is the largest single site children's hospital in England, hasn't had a designated garden at all until now, leaving patients, families and staff without an area for respite. Their letters prompted the Love Your Garden team to plan and create this space which is larger than all their other domestic gardens in the last series put together and was created as a tribute to the positive spirit of the people of Manchester and also as a wonderful multi-functional space in which children and their families can find a relaxing, beautiful haven to enjoy and heal. 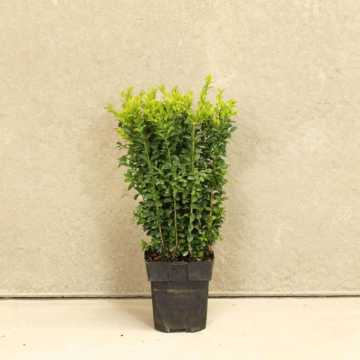 Hedges Direct donated a number of plants for the garden including large Box Topiary Balls and Box Instant Hedging Troughs along with some striking Pleached Hornbeam Trees. Grown with a long clear stem and branches trained onto a framework, pleached trees are also known as 'Hedging on Stilts' and grow to form high level screening providing areas of shade on sunny, warm days. We also supplied some elegant White Barked Birch Trees (Betula utilis 'Doorenbos also known as jacquemontii 'Snow Queen') in a large 70L pot and a species of Japanese Sedge Grass (Carex oshimensis 'Everillo') which were bespoke items sourced just for this garden. 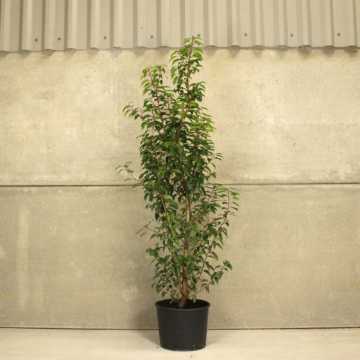 To enquire about these two particular products contact our sales team on 01257 263 873 although we do stock a smaller version of the Birch Tree in a 10L pot (as below). Click on any of the images below to see the main products used in the show. 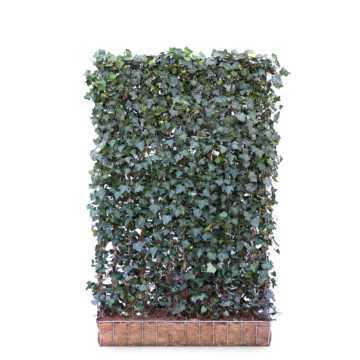 In the past few years, since the initial supply of Cherry Laurel hedging in 2013, Love Your Garden has continued to be supported by Hedges Direct with a range of plants from Ivy Screens to Lavender and several varieties of hedging, both instant and potted. To view some of the products used, click on the links below. Don't forget, our sales team are available for queries on any of the plants supplied to the show. Call 01257 263 873 to speak to one of our friendly sales advisors for expert advice and guidance.